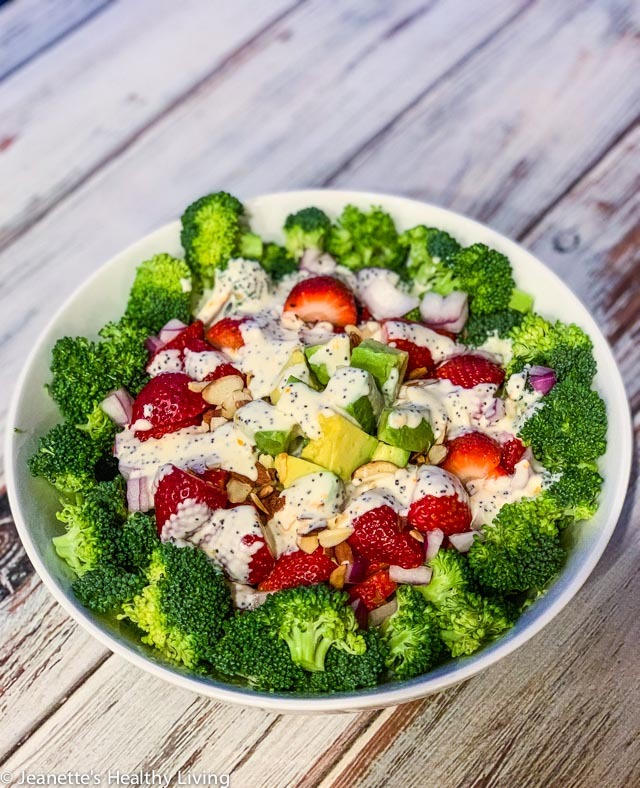 Broccoli Strawberry Avocado Salad with Orange Poppy Seed Dressing is a fresh take on traditional broccoli salad. 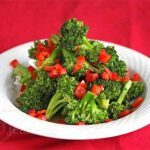 Have you ever had broccoli salad? It’s a popular salad for picnics and summer barbecues. 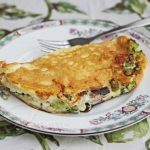 The traditional dressing typically includes mayonnaise and sugar. 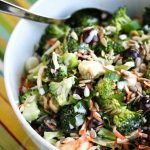 In addition to broccoli, you might find raisins, bacon, sunflower seeds and cheddar cheese tossed into the salad. 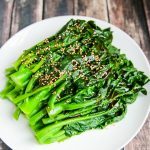 My version is lighter, prettier and the dressing I came up with is delicious! I look forward to this time of year when the sun stays out longer and the weather warms up. Families start laying out their blankets in the local park for picnics, and people start firing up their grills. I love casual barbecues, catching up with friends who’ve been hibernating all winter, and taking nature walks and hikes. 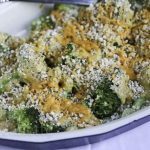 This broccoli salad is new to my salad repertoire this Spring. 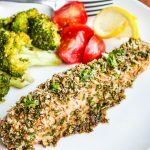 I’ve put my own twist on it to make it lighter and brighter for Spring and Summer entertaining. In addition to fresh broccoli, I’ve added sweet strawberries and creamy avocado to the mix. 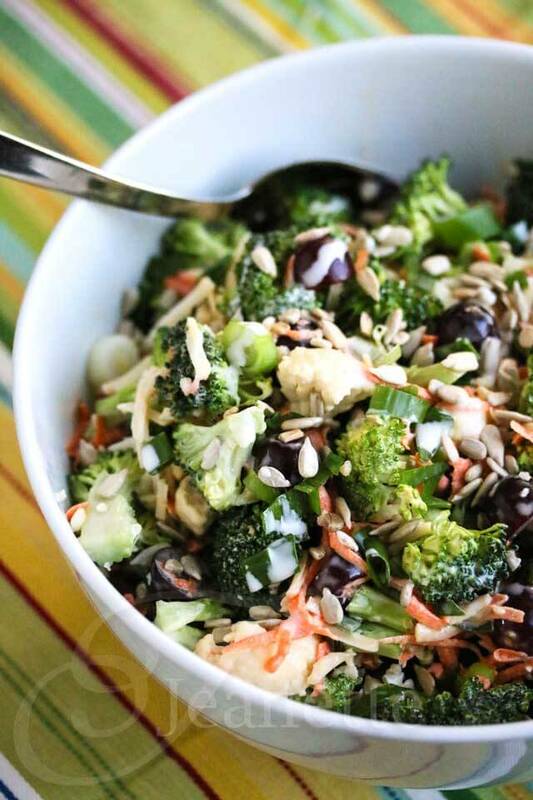 Toasted almonds add some crunch and compliment this salad nicely. 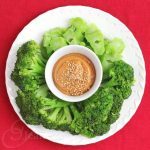 The creamy Orange Poppy Seed Dressing, made with a combination of non-fat Greek yogurt and low-fat mayonnaise, makes this broccoli salad stand out. 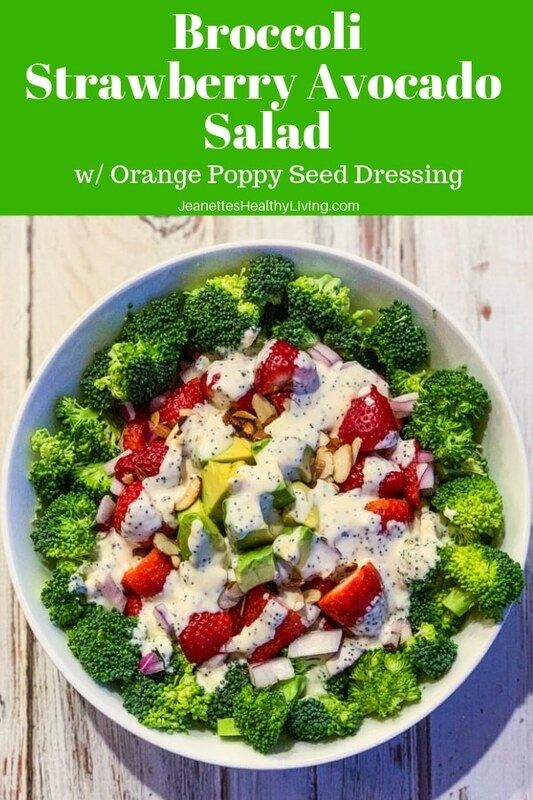 I love citrus flavors in dressings, and orange juice and orange zest perk up this delicious dressing. 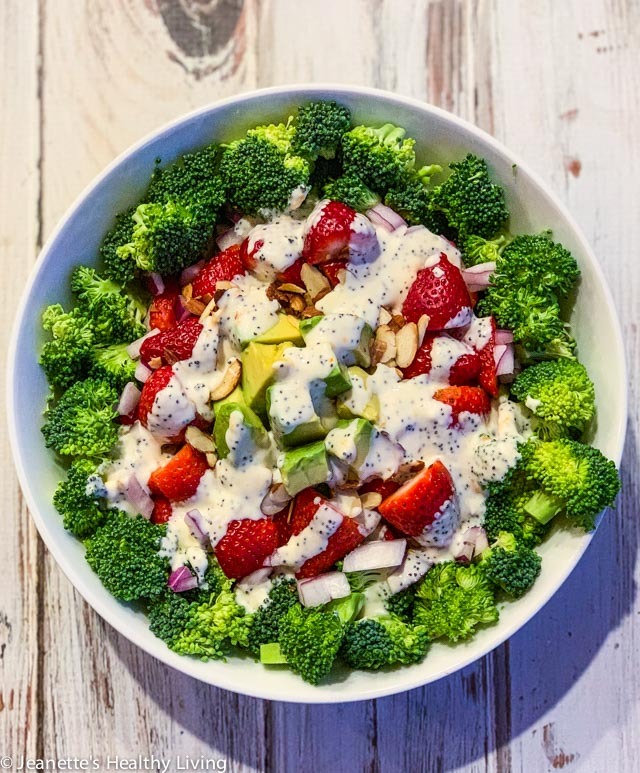 If you’re hosting Easter, or just making a casual lunch or dinner, try this Broccoli Strawberry Avocado Salad with Orange Poppy Seed Dressing. It’s beautiful when presented the way I’ve done, or you can just toss everything together. 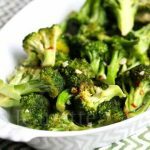 Either way, I think your guests will enjoy this fresh take on broccoli salad. 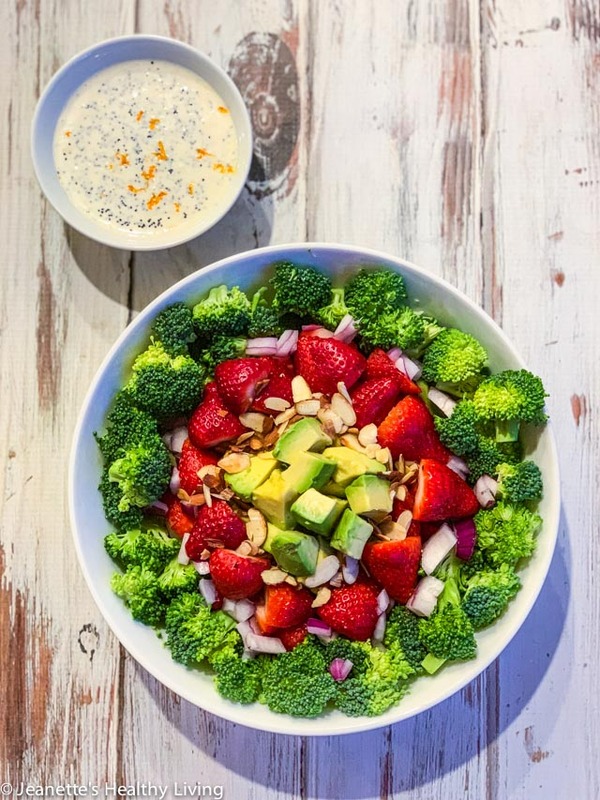 Arrange broccoli, strawberries, avocado, red onion and almonds in serving bowl (or toss together). In a small bowl, mix together yogurt, mayonnaise, honey, orange juice, poppy seeds and orange zest. 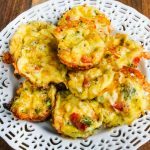 Toss dressing with salad, or serve on the side. 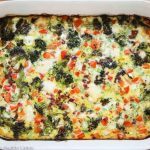 So fresh, springy and delicious! I love that poppy dressing too.